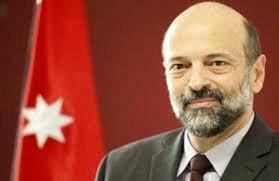 AMMONNEWS - Prime Minister Omar Razzaz on Thursday commended efforts exerted by various competent state bodies to address the current weather conditions in the country and said they have shown a high level of cooperation and coordination across the Kingdom. During a visit on Thursday to the Public Security Department (PSD) and the Ministry of Public Works and Housing (MPWH), the Premier emphasized His Majesty King Abdullah's directives that serving citizens and ensuring their safety must remain a top government priority. Razzaz said that action plans were already in place to deal with the weather conditions and to be carried out on the ground, and that the precautionary measures paid off with no major incidents reported. He lauded the level of awareness among citizens and their keenness not to obstruct the work of the concerned bodies in reopening roads closed by snowfall. He urged the public to exercise caution in the next days as frost formation and low temperatures are expected to affect the country. Director of the Public Security Department (PSD), Maj.Gen. Fadel Hamoud, said that the PSD received more than 34,000 calls from people inquiring about the conditions of the roads, emphasizing that traffic incidents reported last night were around their average rate.